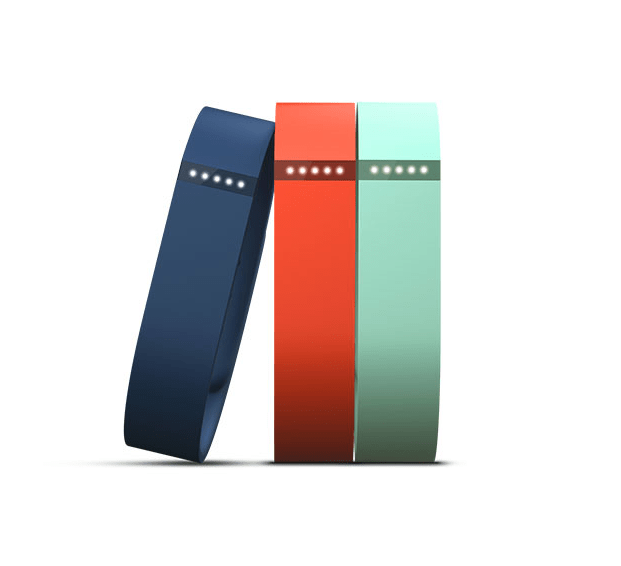 The much awaited fitness wrist strap from Fitbit, the Fitbit Flex is available from today. Also featured is the fact that this contains NFC for easy pairing with Android phones as well as iPhone Bluetooth connectivity. On top of that, syncing to Galaxy S4 is also announced, which uses the S-Health app. 03 June, 2013, London – Fitbit Flex™, the new wireless wristband activity and sleep tracker from Fitbit, is available to purchase in store and online from today, expanding Fitbit’s offering to enable Fitbit fans and new users alike a new way to track and improve their health and fitness and stay motivated. The availability to buy the Flex coincides with the launch of Fitbit’s new, personalised dashboard and updated Android compatibility. Tracking steps taken, distance travelled, calories burned and sleep patterns, the Fitbit Flex™ enables users to wear the device on their wrist day and night to track activity. Flex incorporates a new stat, ‘active minutes’, which monitors how many moderate-intensity cardio minutes a user has completed throughout the day, adding another dimension to measuring activity and achieving goals. The slim and stylish wristband has a LED display that subtly vibrates each time a new goal is achieved, aiding motivation and providing users with progress on the day’s activity. Fitbit’s new visually-led online dashboard can easily be modified to provide users with a simple snapshot of their day according to their priorities. Users can add, remove and edit different activity tiles on their homepage so they can see at a glance how close they are to achieving the goals that are most important to them. The new dashboard also features one-click access to history and trends, making it easier than ever to view statistics and progress in more detail. The Flex is the only wristband to incorporate Bluetooth 4.0, meaning that activity stats can be synced in real-time to view on select devices, which now includes the Samsung Galaxy S4 in addition to the iPhone 4S, iPhone 5 and iPad. Furthermore, NFC-enabled Android devices can be instantly updated if users tap their device. Gareth Jones, EMEA General Manager said “The Flex is Fitbit’s latest tracker to help people stay motivated to achieve their health and fitness goals. As simple to use as the One and Zip, Flex adds versatility to the range and Fitbit is the only brand to offer users the option of clip or wristband. Pre-orders have been phenomenal so we’re extremely excited to be launching online and in store. Via both the dashboard and an updated mobile app, users can analyse graphs, earn badges, compete with friends and family, and log food or other work-outs. Fitbit also integrates with many popular health and fitness apps on both IOS and Android devices, including Endomondo, LoseIt, MapMyFitness, MyFitnessPal and Sparkpeople, to allow users to share data from their favourite apps. The Flex is water resistant and is available in two colours, Black and Slate. A three colour accessory pack allows users the additional choice of Teal, Tangerine and Navy bands, which can be interchanged to suit mood or style for £22.99. The Fitbit Flex™ (£79.99) is available to purchase in store today at John Lewis and online at Amazon and Fitbit.com.